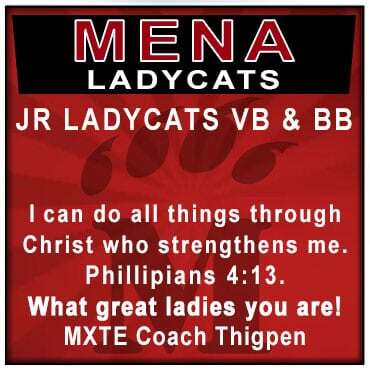 Volleyball - Bearcat Foundation Inc.
Mena Ladycats Volleyball sweep the Bauxite Lady Miners in Jr. High, Sr. High JV and Sr. Varsity. JV Ladycats win the Silver bracket!!! Varsity Ladycats lost in the finals to Lake Hamilton! Another successful Ladycat Classic in the books.